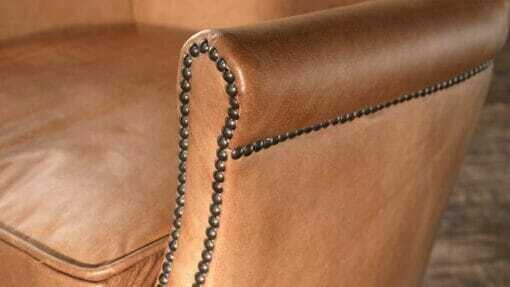 Luxury seat with a stud detailing available in brown leather or camel leather. 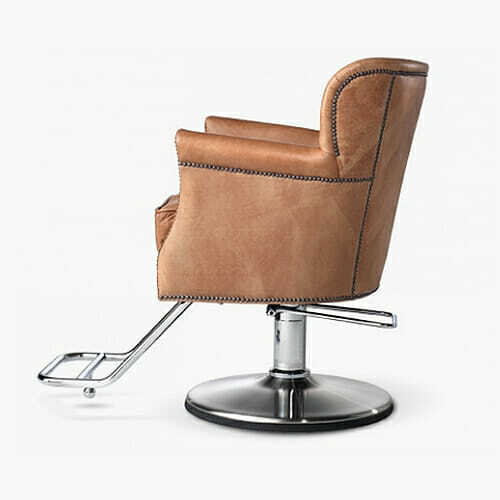 Takara Belmont Dux Styling Chair. 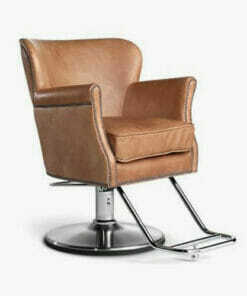 Luxury salon chair with a stud detailing, guaranteed to add style and flair to any salon or barber shop. 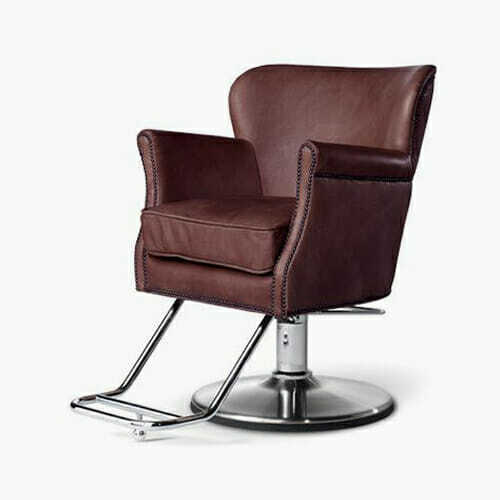 The Takara Belmont Dux Styling Chair is available in either dark brown leather or camel leather (please use the drop down box to select). 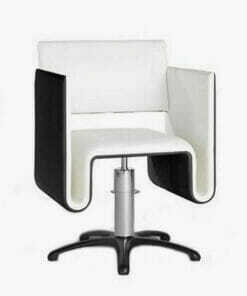 It features a thick, comfortable seat cushion with a removable cover. 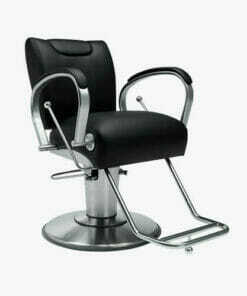 Supplied on a sturdy, chrome hydraulic base which rotates 360 degrees and locks into position. 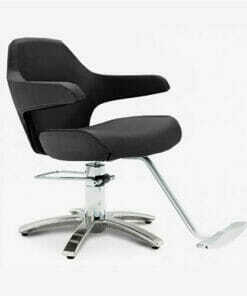 The chair is height adjustable using the foot lever and comes with the chrome footrest & stopper included. 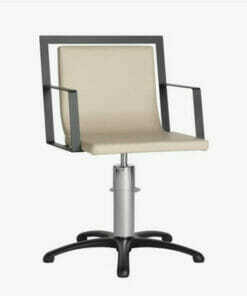 The Dux chair is usually kept in stock for a quick dispatch time. 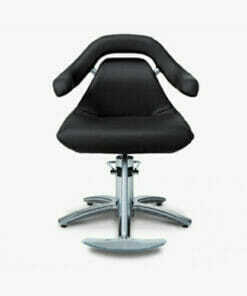 For further delivery details or if you require any assistance please feel free to call our sales team on 01270 630280. 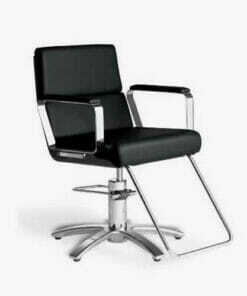 Dimensions: Height: 88cm, Width: 62cm, Depth: 93cm, Initial Seat Height: 52cm. 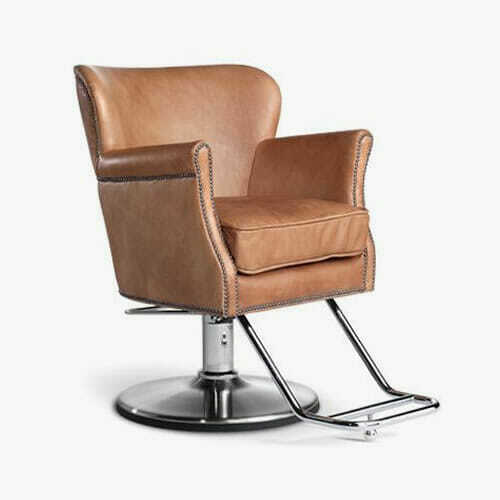 Practical and comfortable styling chair with a unique design. 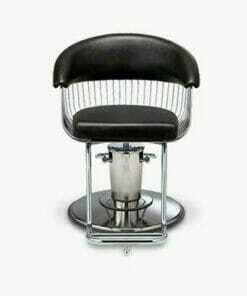 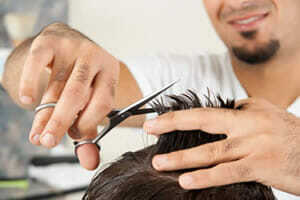 Contemporary salon chair designed to prevent trapped hair. 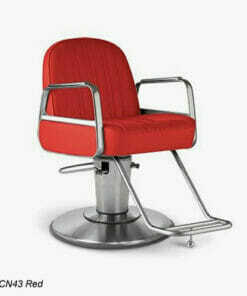 Ultra modern and beautifully striking styling chair. 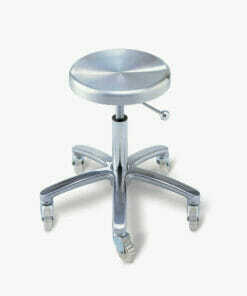 Chrome finish stool on 5 star base with brushed aluminium seat on smooth-running castors. Meticulously designed with an impressive finish and outstanding presence. 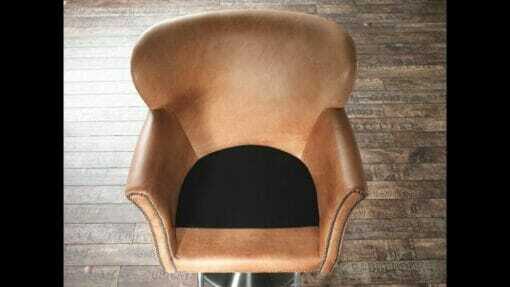 Beautifully built and elegantly designed styling chair. 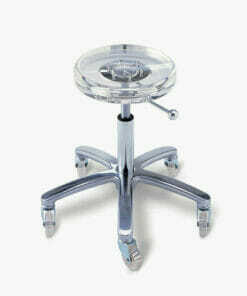 Chrome finish stool on 5 star base with brushed clear acrylic seat seat on smooth-running castors. 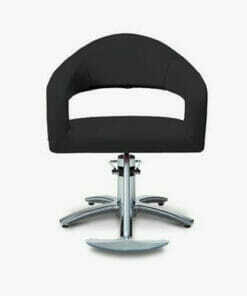 Multi-function chair with a reclining backrest. 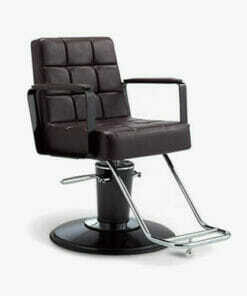 Contemporary salon chair with a fully upholstered design. 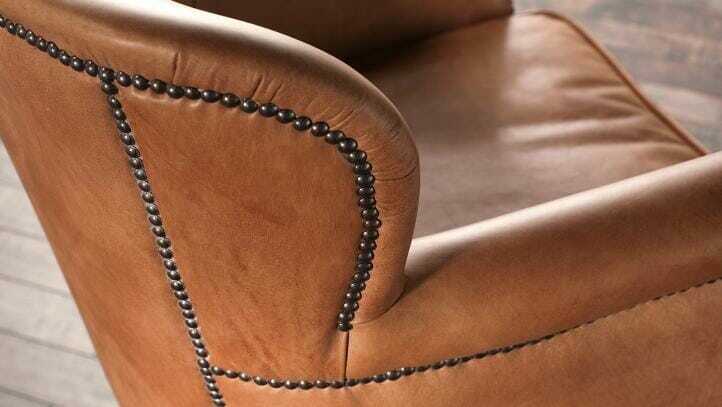 Gracefully built and designed with particular detail and elegance. 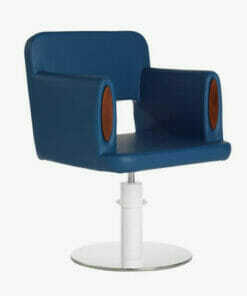 Modern styling chair with a fibreglass backrest. 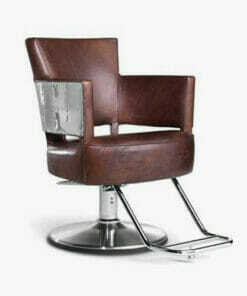 Vintage 40's style chair in a dark brown leather with metal detailing. 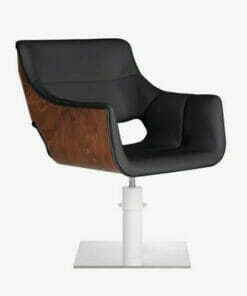 Traditionally styled chair with a high quality and durable finish. 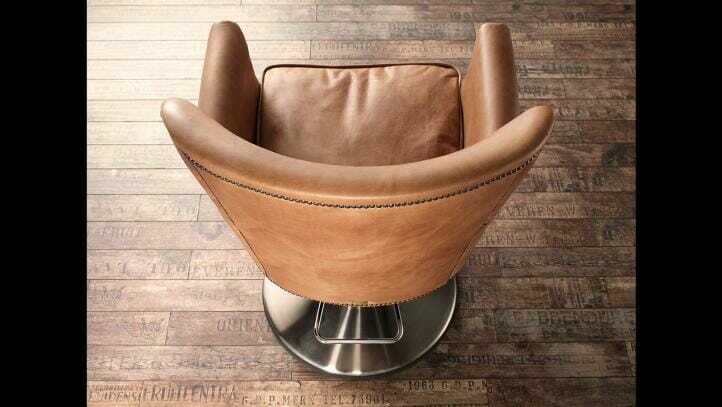 Retro chair with a detail stitching and a broadly-quilted seat.